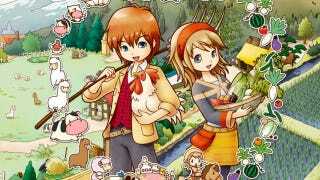 There's a new Harvest Moon game for the Nintendo 3DS. The game's publisher, Natsume, also has a title called Gabrielle's Ghostly Groove on the way for the platform. Yet despite both of them being finished and ready to go, they've been delayed. Why? Because there aren't enough people buying the 3DS. It's hoped that the recent price drop will spur demand for Nintendo's latest handheld, leading to a bigger install base for the system, and thus enough consumers to make both titles worth Natsume's time to release. Both have been pushed back to October. These aren't the first games to be delayed (or even cancelled) following the 3DS' lackluster launch. Hopefully the drop in price (and release of more must-have games for the system) can turn that around.